Consistent professional pool service and pool equipment maintenance significantly reduces the costs of pool ownership by repairing or replacing worn parts before they reach the point of catastrophic failure. 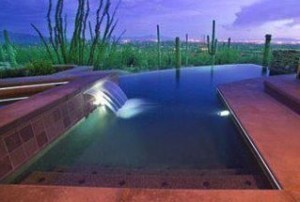 Pool maintenance is an important investment when owning a pool. Weekly pool service not only extends the life of your pool but it also prevents infections to your children and other health issues related to the sanitation quality of the water. A Clear Choice Pool Serve, will maintain your pool so you do not have too!.. We have the experience and knowledge to troubleshoot and resolve any situation that may arise with your pool or spa. You need a knowledgeable and dependable pool professional to keep the pool of your dreams clean, safe, efficient and fun! We do it all, including service, repair and replacement of, pool pumps, filters, heaters, cleaning systems, equipment automation, controls and more, we service all of your pool and spa needs. We provide you the following checklist when your job is complete. You will know what was done and what may need attention.